My Top Picks Best Micargi Bicycles for Women! Best Micargi Bikes for Women! Are you looking for a beautiful, high-quality Micargi bicycle for your wife or daughter today? Micargi makes beautiful, great quality bicycles for men, women and kids! They sell many kinds of bicycles but today I am going to show you my top favorite Micargi cruiser bicycles for women! Micargi bicycles are extremely comfortable to ride and you can choose them with 7-speeds, 3-speeds or the single speed ones, which are my favorites. 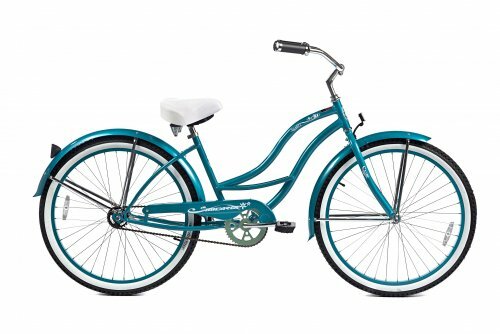 The gorgeous turquoise blue cruiser bike you see on the picture above is the Micargi Tahiti! Like I said before you can choose it in many beautiful colors, to suit your style! Meet the Micargi Tahiti NX3! 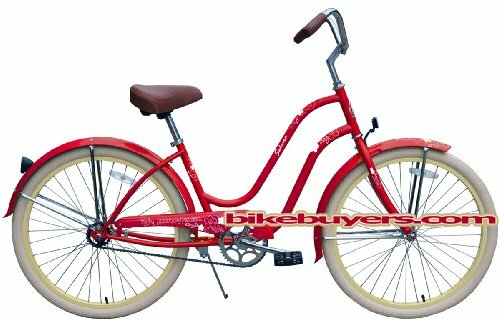 It’s a gorgeous 3-speed cruiser bike for women! It has the easy to use coaster brakes and a Shimano Nexus 3-speed derailleur! Another beautiful 3 speed Micargi cruiser bicycle! This is the Micargi Rover NX3 cruiser bicycle for women. Also available in several beautiful colors! 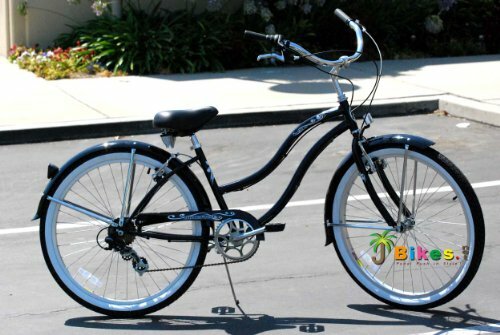 It is a 3-speed cruiser bike as well and it’s perfect for cruising around for pleasure or exercising as well! It has a cool and unique style and it’s very smooth to ride! 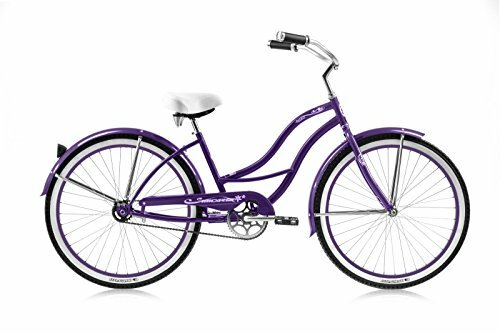 If you are looking for a high-quality, modern looking, gorgeous cruiser bike for women that has beautiful retro-style handlebars, then this 26″Micargi dark purple cruiser bicycle might be the one! It is a very solid, awesome bike for women! It has a beautiful purple color and a very comfy large seat! 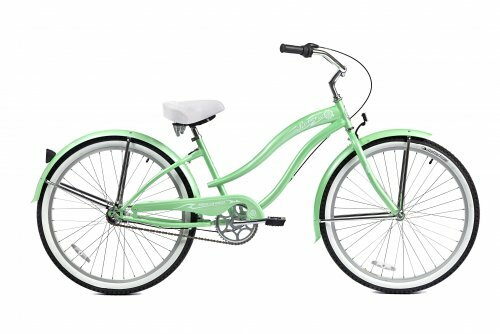 The Micargi Pantera is a gorgeous 7-speed 26 inch beach cruiser bicycle that comes in several beautiful colors! It has a beautiful ‘classic look’, it’s made of steel and it is FUN to ride! This is the Micargi Hero! 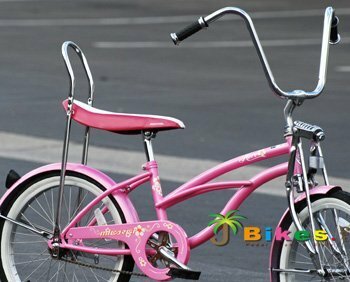 It is a gorgeous retro-style 20 inch beach cruiser bicycle for girls between the ages of 7 and 11 years old with a gorgeous banana seat and very high handlebars and coaster brakes! It is a very sturdy bike, all made of steel! Women’s Micargi Sakura Retro Style Bicycle! 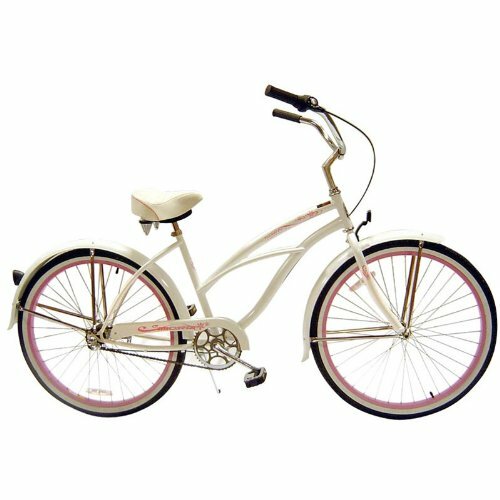 As you can see the Micargi Sakura is a gorgeous vintage style cruiser bicycle for women! It is also very girly, with cute floral graphics on the frame. The frame is made of steel, so this is a very solid and durable bicycle! How to assemble your new Micargi cruiser bike right out of the box! This guy offers a very detailed step by step instruction on how to assemble your brand-new, beautiful Micargi cruiser bicycle!